Centennial sedation dentistry at Rippe Dental Associates offers you a number of quality approaches for relieving dental anxiety. Ask us about nitrous oxide, conscious sedation or other available dental sedation options. Call our office now at (844) 312-5552 for your Centennial sedation dentistry appointment with Dr. Christian Rippe. Or complete the form on our website, if you prefer. You'll be amazed at how pleasant your visit to a sedation dentist will be! 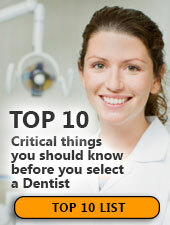 » Want to know more about how a Centennial Sedation Dentist can help you?